We have many choices for your screen door needs, including retractable screen doors. 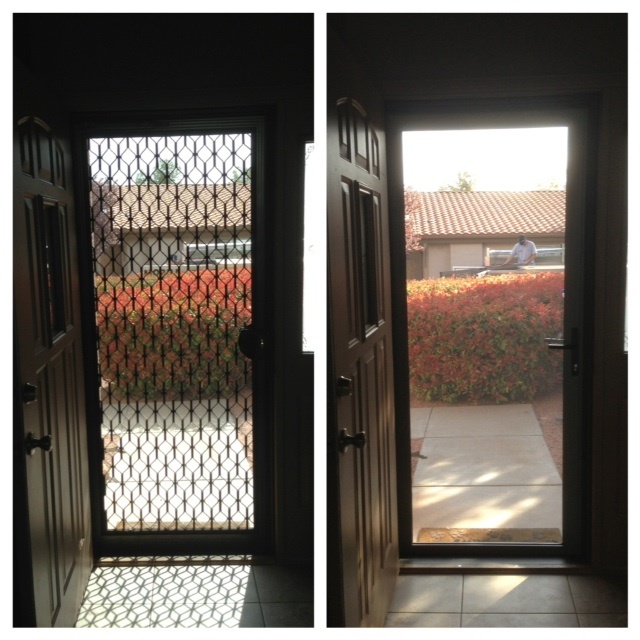 Screenmobile provides a wide variety of screen doors, styles and colors. Whether considering a sliding screen door, swinging screen door, or a retractable screen door, we have what you need. Do you need a tougher screen that can stand up to kids or pets? We have those, too. 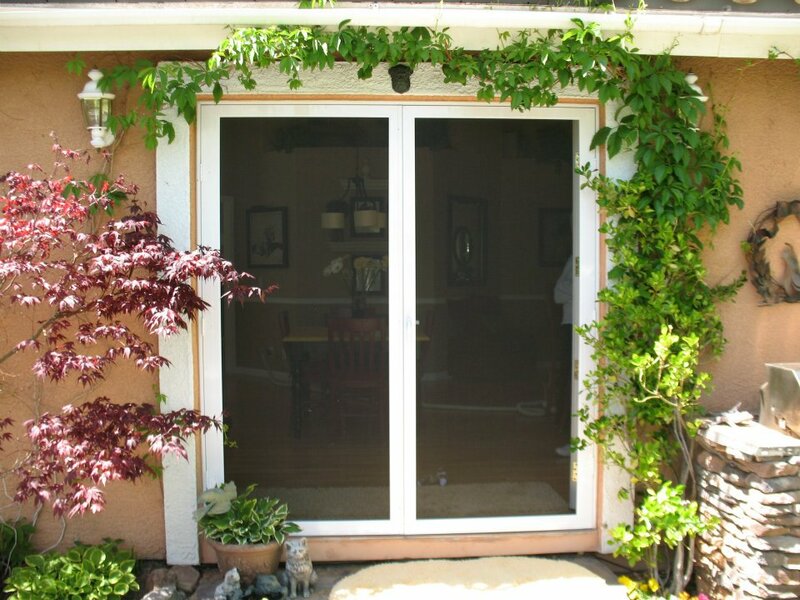 In addition to our well known screen doors, we also carry garage screen doors and French or double screen doors. And if you need something more secure for your loved ones, look into our security screen doors which have both a protective grill and insect screen to keep the bugs out. New stainless steel security doors are also available. Custom size or hard to fit applications are no problem for Screenmobile. 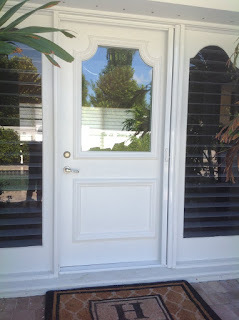 Many doors can be made on site at your home, or we can special order any screen door to fill your need. All screen doors are guaranteed to fit. 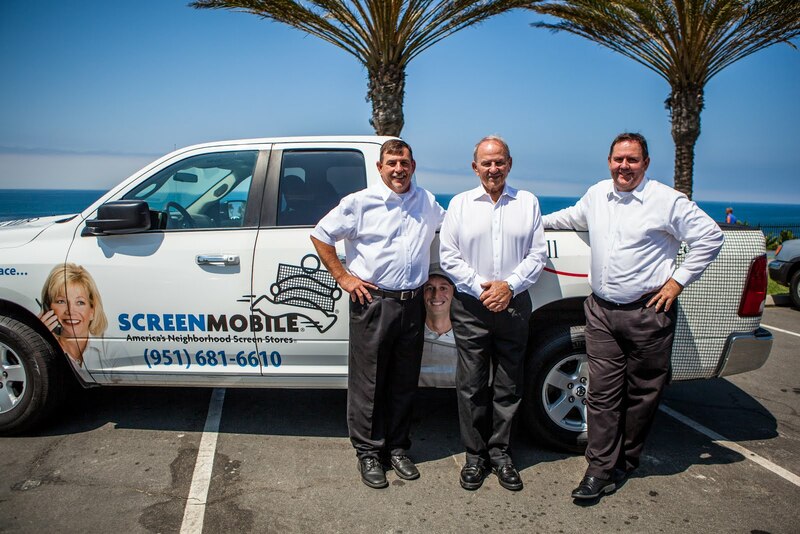 Screenmobile installs thousands of doors each year, and can make the necessary adjustments for unique installation applications. Call Screenmobile for all your screen door needs. For any retractable screen door installation, repair, or replacement, our professional service and free estimates are just a phone call away. Retractable screen door systems are perfect for those door openings where you need insect protection but not all of the time. Our Phantom retractable screen doors utilize an improved version of the technology in roll-up blinds; updated and advanced to work vertically instead of horizontally. As you can see, we have every option covered when it comes to screen doors. We also offer motorized roll up screen doors and large format screens for larger spaces. Please contact Screenmobile for more information. What exactly are garage screen doors? I've never heard of those before to be honest. I'm really interested in the door that can stand up to pets that you had mentioned. I love to be able to air our house out by leaving the windows and doors open, but now we have a puppy, so I can't do that. A good sturdy screen would really help! I like the color of your screen door. If you are looking for the door repair services then, you should contact to 24 hour locksmith near me who will help in fixing your doors.